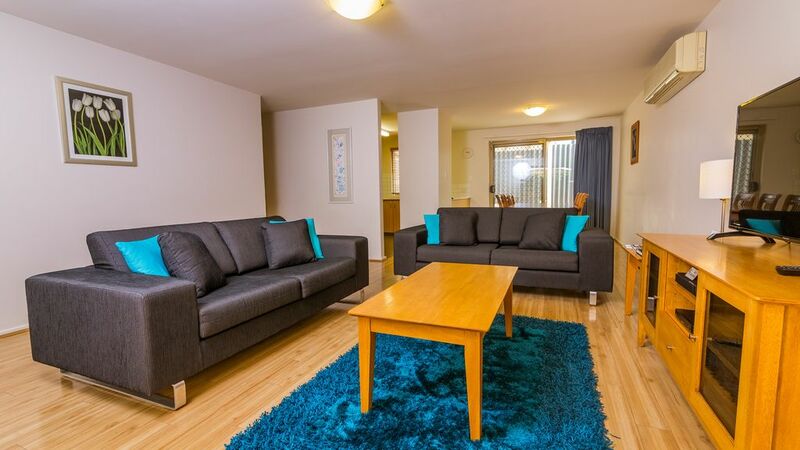 Tastefully presented apartment with spacious living areas! Includes FREE unlimited Wi-Fi and wired internet! 30 extra Fetch TV channels! We had a great stay with the family. Able to walk to subiaco train station making the whole experience easy. It was quiet and close to all you need. It was clean and everything we needed was there. I would not hesitate to recommend this apartment to my family and friends. Very quiet, clean and centrally located accommodation in Subiaco. Perfect for our family stay for the football - everything we needed. Chocolate in the fridge was a lovely surprise! We had a wonderful family stay here. Nice sized apartment that easily suited our family - and with 2 little ones it was great! Everything was provided and the location is superb as it is walking distance to everything in Subiaco. Chris from Dowler Apartments was great to deal with. Very Comfortable and convenient. Would stay again. Our apartments are all located in Subiaco, so we have produced a guide outlining some of Subiaco’s best attractions. The suburb is known affectionately by the locals as “Subi” and is about 4km west of Perth’s city centre. Subiaco Train Station is at the northern end of Rokeby Road and provides a fast train connection to both Perth City and Fremantle. The 97 bus operates daily from the train station, along Rokeby Road to the QE2 Medical Centre and the University of Western Australia. Buses also run along Roberts Road, Hay Street, Bagot Road, Hamersley Road and Nicholson Road. There is also a good bike path that links Subiaco to Perth City and beyond. The best option for getting around Subi is to walk! Subiaco is renowned for its eateries which range from fast food to fine dining. With over 130 cafes and restaurants, most culinary cultures are covered. Enjoy Thai, Indian, French, Italian, Greek, Mexican, Japanese, Moroccan, African, Brazilian and modern Australian food. For fine dining try Bistro des Artistes or Bistro Felix. Other highly rated restaurants include Meeka (Moroccan), Lapa (Brazilian), Six Senses or Lanna (Thai), Cheers (Japanese) and Tao Cafe (Asian) . For a great burger try Jus Burgers or Grill’d Burgers. There seems to be a café around each corner in Subi serving great coffee. Some of the standouts are Stimulatte, La Veen Espresso, Boucla, Café Café, Brew Ha and Spring Espresso. From the smaller intimate venues, like Gold Bar, Pure Bar and Juanita’s, to the bigger bustling Subiaco Hotel, The Village Bar and The Vic Hotel, having a drink in Subi is well covered. Also try the Irish pub Paddy Maguires. Subiaco is famous for shopping with the focal points being Rokeby Road and Hay Street. There are over 70 fashion stores so you will be treated to a good selection of shops presenting ladies fashion, jewellery, accessories and homewares. The fashion stores are mixed in well with a variety of banks, chemists, doctors, dentists, optometrists, hairdressers, newsagents and the grocery stores of Coles, Woolworths and Farmer Jacks. The Saturday morning Subiaco Farmers Market adds another shopping dimension. Perth’s most famous park, Kings Park, borders Subiaco. It comprises over 400 hectares of gardens and bushland, and includes walking trails, playgrounds and picnic areas. Spectacular views of the city and river can be found on the eastern side of the park together with the attractive botanic gardens and war memorials. There are many other parks throughout Subiaco including Market Square Park near the train station; the tranquil Theatre Gardens on Bagot Road; Mueller Park with its beautiful old trees and Subiaco Common with its exotic species, water features and artwork. Other smaller parks include Richard Diggins Park on Park Street and Rankin Gardens on Rokeby Road with its fragrant old roses and Norfolk Island Pines. Century old Moreton Bay Fig trees line Roberts Road near Subiaco Square. For art and culture buffs, Subi has art galleries such as Gallery 360, Lister Gallery, Indigenart, and Linton and Kay. Subiaco Museum on Rokeby Road, showcases the rich history of Subiaco and provides walking guides for visitors. The art deco Regal Theatre and the Subiaco Art Centre have a continuous variety of shows for those keen for entertainment. Shows range from comedy, dance, contemporary and classic plays to music concerts. If you are here in early December, the street festival sees Rokeby Road closed for the evening and a variety of food stalls, novelty goods and entertainers are on show. During the summer months, Sunday evenings (between 5-7pm) are filled with a selection of free community music concerts held at various parks around Subi. On winter afternoons from 2pm there are similar concerts in the Subiaco Art Centre. The area was settled in 1851 by Italian Benedictine Monks. The Monks named the suburb after the town of Subiaco, Italy. Subiaco has a surprising blend of architecture and streetscapes spanning across more than 100 years. Some of the oldest houses are in Park Street; iron roofed timber cottages built in the early 1900s. Many beautiful character homes grace the narrow streets of “Old Subi”. In contrast there is Subi Centro; a modern housing and shopping development centred around the sunken Subiaco railway station and Subiaco Square. Lords Recreation has multiple indoor courts catering for basketball, soccer, volleyball, netball, tennis and squash. Lords also has an indoor pool, spa and gym. Gym facilities can also be found at Fitness First, Plus Fitness 24/7 and Fuller Fitness. The outdoor pool at Subiaco Primary School is open in the hotter summer months and is accessible for a small fee. Two free tennis courts are provided by the council and are located at the southern end of Rokeby Road.